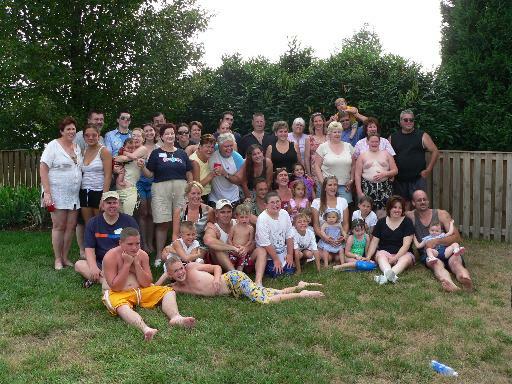 I've added a photo gallery from the recent family reunion here. Enjoy! On this day in 1969, Neil Armstrong stepped off the LM onto the surface of the moon and uttered the immortal words, "One small step for man, one giant leap for mankind." I remember watching it, amazed. 1859 - Brooklyn and New York played baseball at Fashion Park Race Course on Long Island, New York. The game marked the first time that admission had been charged for spectators to see a ball game. It cost $.50 to get in and the players on the field received no salary (until 1863). Hot dogs were $18.50, just like today. Thoughts First Waking Up: What do I have to do today? MacDonalds or Burger King: neither, ugh! Do you want to get Married: still there, done that! Do you like Thunderstorms: no! What do you want to be when you Grow Up: grow up? Do I have to? I plan to set up a page with pictures from the reunion, possibly tomorrow. I was busy teaching sign today. Tomorrow, I really need to do some chores around the house! 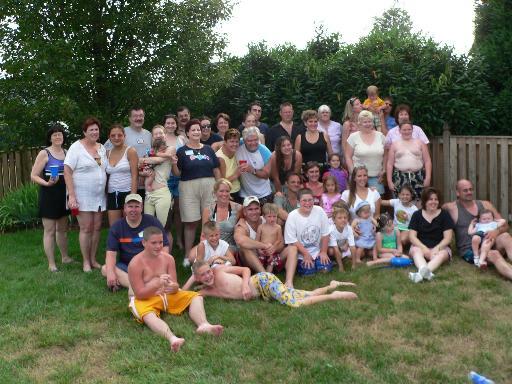 Here are two group shots of the extended family on my Dad's side at a family reunion held today at my cousin, Bob's, house (Bob and Mary are in the center of the picture). We all had such a great time and I want to thank Bob and Mary and their families for the opportunity to get together like this. More tomorrow when I'm more awake. Just to catch up on the trip, on Wednesday evening, we ate dinner at the Dobbin House. We ate there when we stayed in Gettysburg last summer and it's really nice. The house was built in 1776 so I think it's the oldest house in town. It was a school for some time and a hospital during the war. The weird thing about this visit was that we sat at the same table we sat at last summer when we were there. How weird is that? The food is so good. It was a nice way to say goodbye to Gettysburg, food-wise, if that makes any sense. Another place we went to several times while there was Dunlap's. This is kind of like a Dennys but smaller. It was a great lunch place. and when you look out at that vast field, it's an awesome sight. 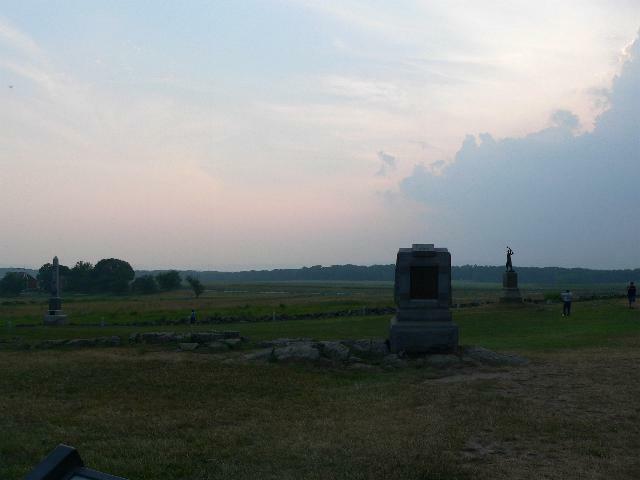 Just standing at that stone wall, listening to how still it is there and imagining the horror of that day was the right way to end the visit to Gettysburg. 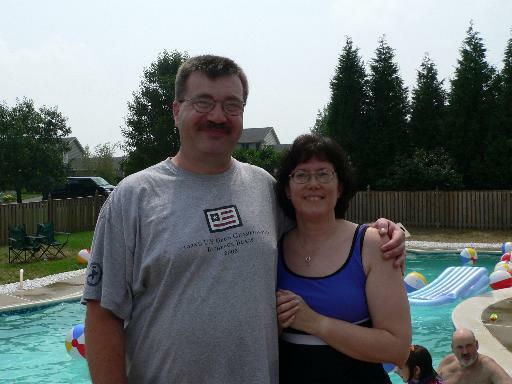 Thursday, we had planned to stop at Hershey but the remnants of Tropical Storm Cindy were due to roll through Pennsylvania and we decided to beat her home so we took off for NY, hit traffic in Staten Island and Brooklyn, which is inevitable, and arrived home in the afternoon. Since Bill's still on vacation, we've seen a couple of movies this week. Today we went to see Fantastic Four, which was pretty cool. I do like comic book movies. The best character in the movie is Johnny Storm, who's really funny. He just stole the movie for me. 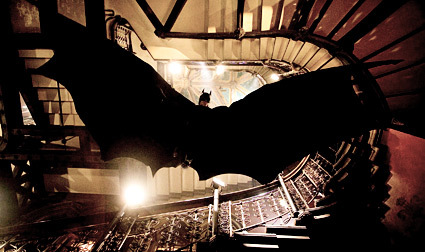 Now, I would have thought this was a better movie if we hadn't seen Batman Begins yesterday. Billy's right. This is without a doubt the best comic book movie I've ever seen and I do love my Spider-Man. First of all, Christian Bale is perfect. He can be smooth as Bruce Wayne and he's so darn cool as Batman. I think the best thing about this movie is that it's believable. Basically, when you watch a comic book movie, you just have to suspend belief because you know it's a fantasy. In this movie, it's so logical that you can actually picture it happening this way. There are logical explanations for all the gadgets and things he has as Batman. Even though you know it's a fantasy, you believe it could actually happen. It's really not a kid's movie. Definitely intense. I loved it. The Honig household gives this movie 4 stars. Highest recommendation. So, that's what's been happening here. Catchup complete! 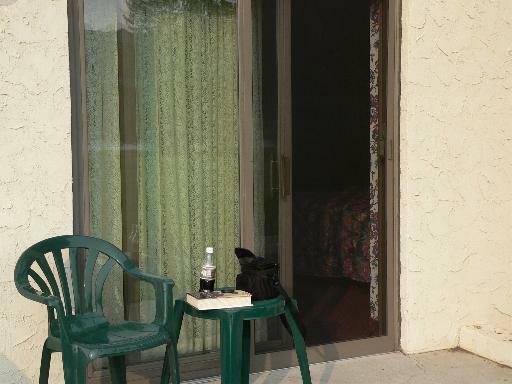 shows Lincoln showing a "modern day visitor" the room he slept in the night before the dedication ceremony at the National Cemetery. According to the tour bus guide, locals call this the "Perry Como statue". She said those of us over 30 would understand why. The presentation at the Lincoln Room Museum is a tad cheesy. The woman there gives you a brief rundown on what's there except that she's probably given this speech umpteen times and speaks like an Evelyn Woods Speed Reader. She then closed the door and one of the visitors with us said, "WHAT did she just say??" Then, there's a recorded presentation. Apparently, the National Park Service has recently taken over possession of the building and renovations are in progress. I suspect the presentation will be a little bit better. When we came out of the museum, it was pouring. We went back to the car and tried to wait it out but, since most of the time, we'd be walking, we decided to go to Harrisburg and see an exhibit of Titanic artifacts at the Whitaker Center, Harrisburg's science museum. We had seen a billboard about this exhibit while driving here and it seemed a good rainy day activity. This was really interesting. When you first enter the exhibit, you're given a "boarding pass" with the name of a passenger on the Titanic. After touring the exhibit, you check the wall listing the lost and survivors and find out if your passenger survived. Bill's didn't (a 22-year old fellow from England) but mine (a 45-year old woman from England) did. The artifacts are amazing to see up close. The eeriest was a stack of au gratin dishes. They were set up in the case just as they were found, picture above them as proof. They were lined up perfectly. The wooden cabinet they were in had disintegrated but the plates were intact and exactly how they'd been in the cabinet. Spooky. Some things were remarkably well-preserved. If they were inside something leather, they were virtually unscathed. This was worth the drive back to Harrisburg, which is a lovely city. After that exhibit, we explored the science museum and headed back to the hotel, where we had dinner. shows approximately where the platform was set up for the dedication ceremony where Lincoln delivered his Gettysburg Address. 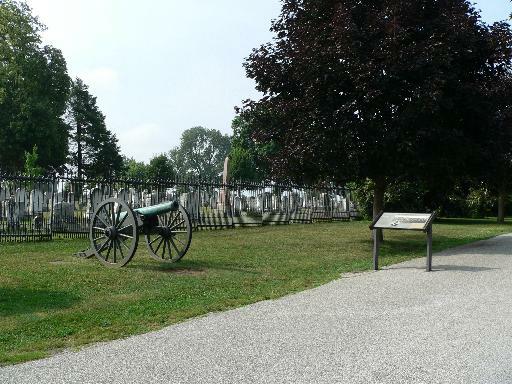 The informational marker noted that the platform was likely to the left inside the fence, actually inside Evergreen Cemetery. The military cemetery is to the right of the marker. No one knows exactly where the platform was but this is an approximate estimation. 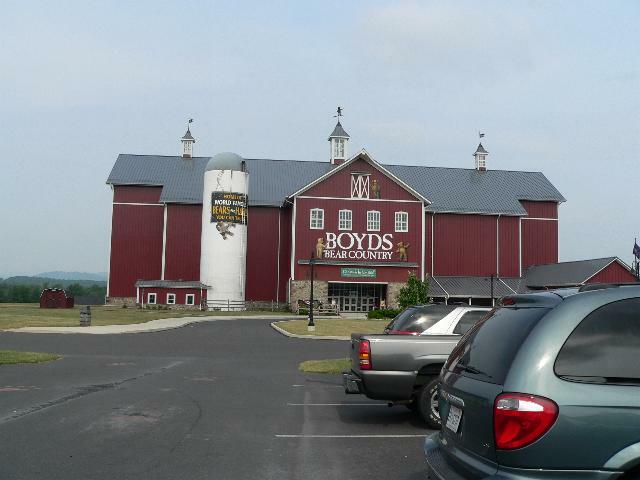 After this trip, I went to Boyds Bear Country, billed as the most humongous bear store in the world. Holy cow, was this fun. I've never seen anything like it. It is a huge red barn like building, three stories high, filled with "70,000 bears" and other things. It's just the cutest place ever. I had great fun shopping, picking up gifts and things for myself. They even have a restaurant, food court and snack shop in the lower level. I was there an hour and probably could have stayed longer. Unfortunately, if I had, I would have spent more money. We're off to dinner in a few minutes and will conclude our visit to Carroll Valley and Gettysburg. It was a nice relaxing time. Tomorrow, on our way home, we intend to stop at Hersheypark for a brief visit. This way, we might avoid arriving in NY smack in the middle of rush hour traffic. Again, stay tuned. I watched him play on the ninth and tenth holes. 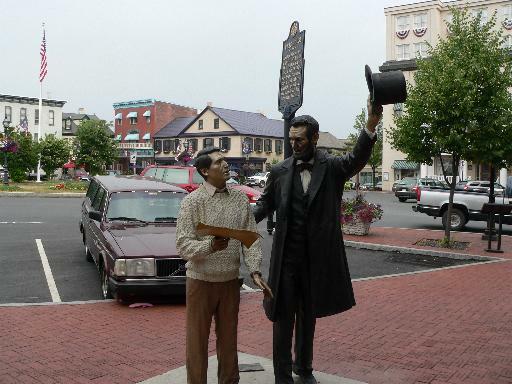 We then had lunch in Gettysburg and took a Gettysburg Tour Center Battlefield Bus Tour. We've done the auto tour ourselves several times, listening to the tape on the car radio, but by the end, we always get confused. This was a good idea because we found out lots of little tidbits we didn't know before. One of the more fascinating stories was about General Sickles. Before the war, Sickles killed Francis Scott Key's son because he was having an affair with Sickles' wife. His attorney, Edwin M. Stanton, won an acquittal with the innovative defense of temporary insanity. During the Gettysburg battle, he was wounded in his leg. His leg was amputated. Sickles donated the leg to a military museum and actually visited it on occasion. Interesting guy. Whirlpool bath and bubbles don't mix! As I watched, the bubbles continued to grow....and grow....and, well, you get the idea. 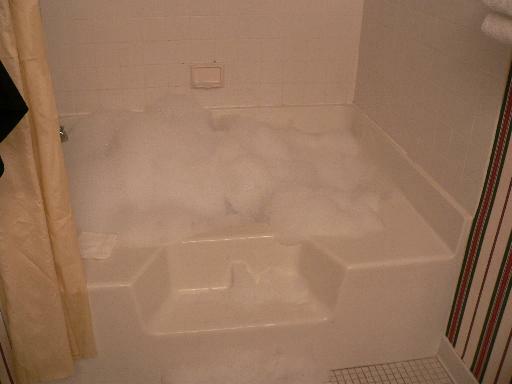 When they started overflowing the tub, I decided it was best to just shut off the jets! I just sat there laughing. Bill was sleeping so I had no one to share my story with. 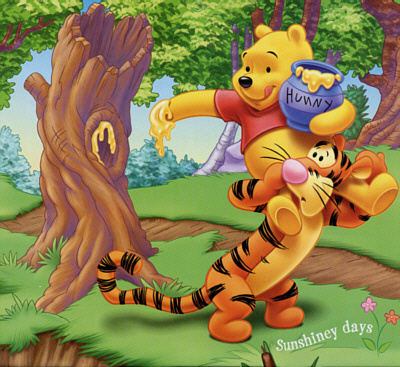 Moving right along, we begin the month of July here in Pooh-land. Today's the 142nd anniversary of the first day of the battle of Gettysburg, Pennsylvania, a turning point in the American Civil War. The battle continued until July 3rd, 1863. 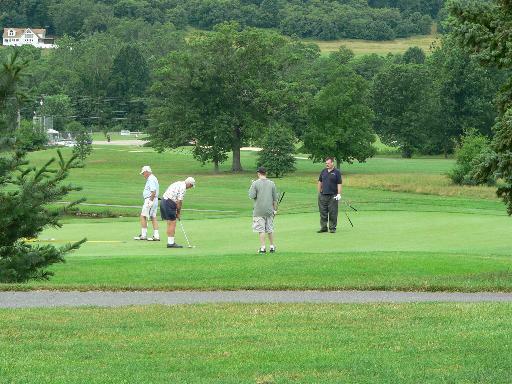 Bill and I will be visiting the battlefield and town as we'll be staying at a golf resort just outside Gettysburg this week on vacation. Tom Cruise seems to be on a mission to seriously derail his career. This is what happens when you fire your very experienced PR person and hire your inexperienced sister. It's incredibly irresponsible for this man to essentially announce that people should ignore their physician's advice and take vitamins instead. Vitamins? Has this man ever spent a six hour day in a classroom with a non-medicated ADD student? Has he ever attempted to keep a student on task when the student cannot focus attention for more than a couple of seconds at a time and is distracted by every movement and noise in the room? Like Matt Lauer, I've actually seen people helped by medication. No one likes to be medicated, the medications are hard to regulate and if other treatments help, that's wonderful. However, in some cases, medication is necessary. Until Tom has a medical degree, I hope his fans will continue to follow their doctor's advice and not Tom's. He's got to lay off Brooke Shields as well. Until he's able to give birth, he has no idea what she went through and how courageous it was for her to tell her story. He doesn't believe in psychiatry and medication but does believe in aliens ("Are you so arrogant as to believe we are alone in this universe?") Just who is arrogant, Mr. Cruise?